The Wolverhampton Wanderers will look to seal a permanent move in this 2019 winter transfer window for Jonny Castro Otto, the 24-year old wing-back. Otto, who is on loan to the Wolves from Atletico Madrid, has been in fine form this season, having a goal to his name which he scored against Southampton in a 2-0 win. He has excellent vision, pace, and is a very solid defender. 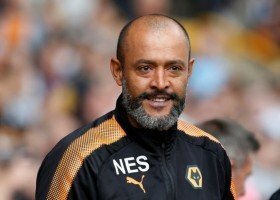 Jonny had also played a vital role in the promotion of Wolves last season, getting them back to the first tier of English football for the first time in six years. His successful two-season spell at Wolves granted him an opportunity with the Spanish national team, as he made his international debut against England in the UEFA Nations League. The Spain international would cost Wolverhampton Wanderers £18million. If the deal is finalised, it will be the Wolves’ joint-club record deal. Jonny can also prove to be an excellent long-term solution, being only 24 years of age.